The acquisition of Catalyst Paper expands Paper Excellence Canada's product range to include printing papers, specialty and packaging papers, while increasing pulp production to its customers worldwide. 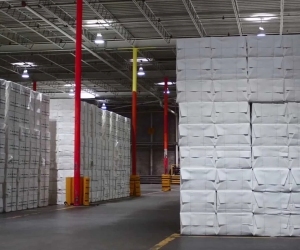 March 19, 2019 - Paper Excellence Canada (PEC) on March 18 announced that it has finalized the acquisition of Catalyst Paper Corporation. This includes Catalyst's three facilities located in Crofton, Port Alberni and Powell River, its Surrey distribution centre and headquarters in Richmond, British Columbia, Canada. The deal expands Paper Excellence Canada's product range to include printing papers, specialty and packaging papers, while increasing pulp production to its customers worldwide. The Crofton mill is an integrated pulp and paper mill with two operating paper machines and two pulp machines. The mill has the capacity to produce 302,000 tonnes per year of newsprint and 336,000 tonnes per year of NBSK pulp. The Port Alberni mill has two paper machines and produces directory and lightweight coated paper. The mill has a production capacity of 340,000 tonnes per year of specialty papers. The Powell River mill has two paper machines and produces newsprint and uncoated mechanical specialty papers. The mill has a production capacity of 350,000 tonnes per years of specialty papers. “This transaction is good news for our now 3,500 employees, our customers, our operating communities, and British Columbia's pulp and paper and forest products industries,” Baarda added. Paper Excellence manufactures NBSK Pulp for the paper and tissue industry, and BCTMP for printing, board and packaging, for export to the Asian market. To learn more, please visit: www.paperexcellence.com.